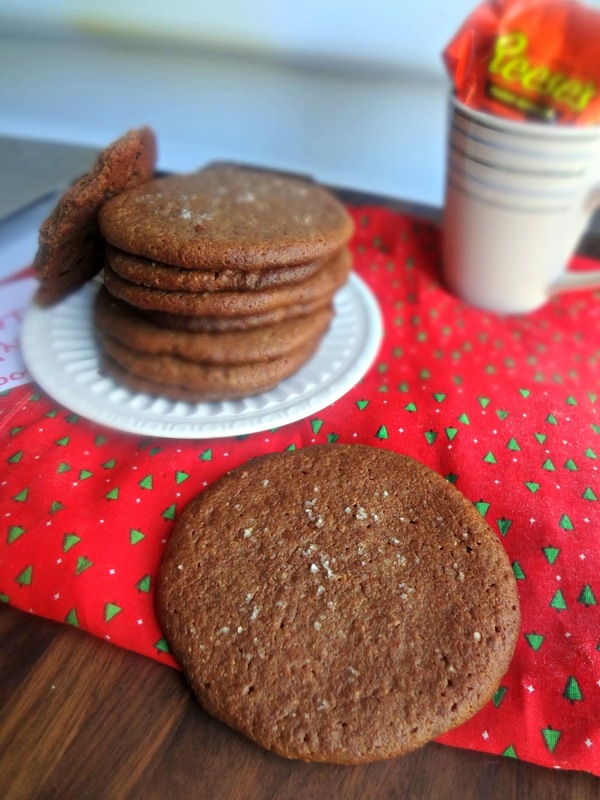 This recipe blew up this year! 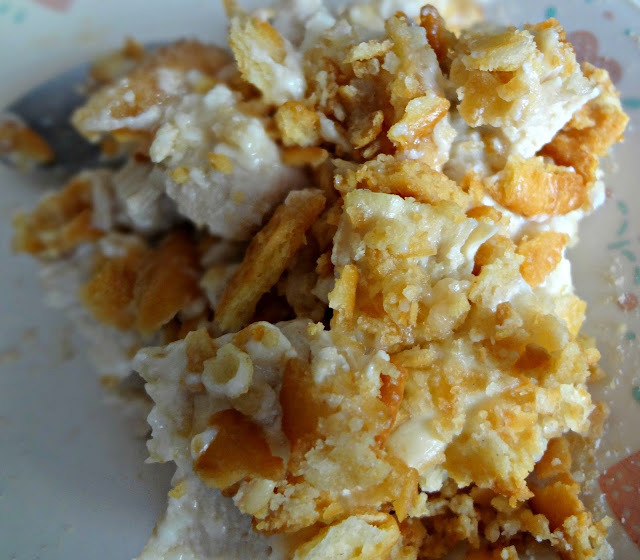 I'm not super surprised, it's a classic, comforting recipe that's so simple to throw together and is sure to be the perfect meal for your family. Hallo! Hope you all don't mind that I took yesterday off from posting, I'm just super swept up in Christmas stuff, wedding stuff, and being home, etc. etc. Speaking of...I hope you all had a wonderful holiday! What'd ya do? Didja get any good presents? This Christmas was mostly a money and small things year, but I loved all the things I got! My favorite is probably the adorable ornament my mom got me (if you look closed it's in the instagram collage below with my other Christmas gifts from mom and josh)--it's a ring box with a ring and it says "Our Engagement" with mine and Michael's names and the date we got engaged. SO CUTE. And I've really just enjoyed spending time with mine and Michael's families. And wedding stuff has gotten reeeeeal. First, I argued with my dad over his section of the guest list. Then, with my mom and MoH Alex there, I tried on my mom's wedding dress (which no one has seen in 25ish years since she had it preserved): I've always dreamed of wearing her dress and...it's actually pretty cute on me. And still white! There are definitely A LOT of alterations that need to be made (fixing yellowed lace, de-puff-ing the sleeves, actually making it so the dress zips up because my mom was itty bitty when she got married). But it's pretty darned exciting. AND we had our first appointment to check out a reception space yesterday, which I also did with mom and Alex (we were supposed to see our first place on Thursday, and Michael was there for that, but the people never showed up sooo...that's a no lol). This place was BEAUTIFUL! It is a definite contender. And I'm like just so stoked. Today I have Christmas-es for Michael's dad's side of the family and my mom's side, then tomorrow I have 2 more reception spaces to check out (including the one that has been the front runner). EEP! 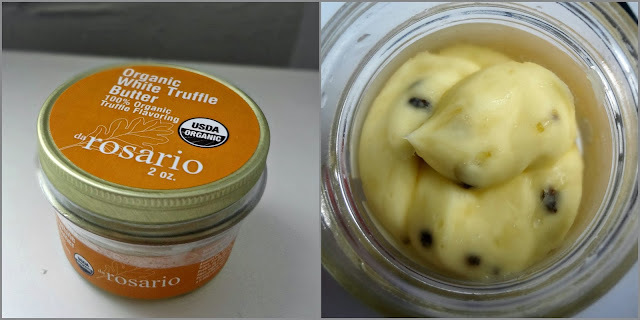 I've already gone on and on about why they're THE BEST (and the only REAL) truffle products. Check out this post for part 1 of my review, about daRosario's white truffle oil, and for more info about what makes daRosario stand head and shoulders above the rest! Truffle. Butter. I mean...need I say more??! AND what is truly amazing is that daRosario only uses 3 ingredients to make this butter: Organic Valley butter, real organic Italian white truffle pieces and real organic white extra virgin olive oil concentrated flavoring! It tastes ahhhmazing--I am a big fan of putting some of this deliciousness on a baked potato and then sprinkling some Romano cheese on top. MMM!!! I had never even considered truffle and honey going together but it is a PHENOMENAL combination (as already evidenced in that pizza recipe I shared with you). 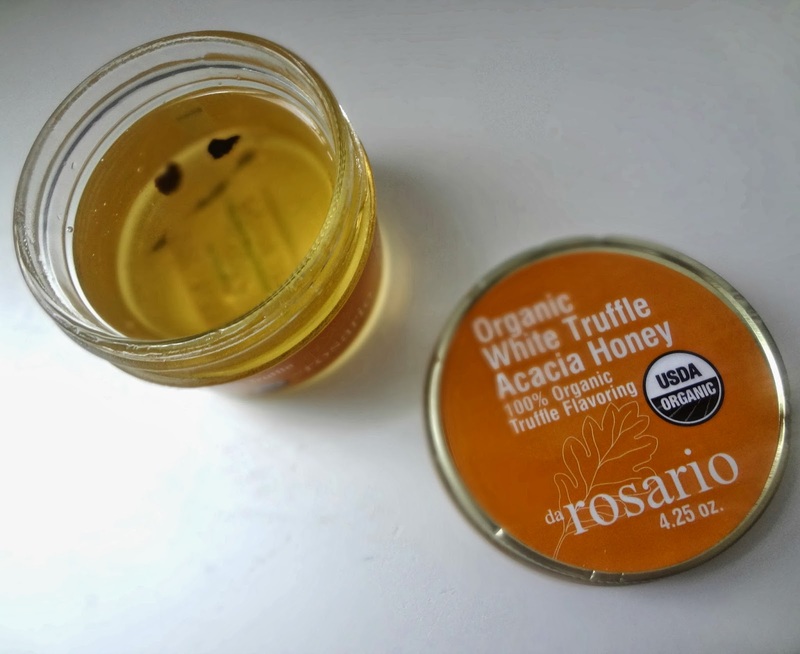 This is the first ever truffle honey to hit the US market and, as always, made from great, real, organic ingredients (real organic white truffle pieces, organic Acacia honey and organic white truffle extra virgin olive oil concentrate). It's great on pizza (obv. ), drizzled on crostini or bruschetta, in pastas, with cheese, even brushed or drizzled on meats! 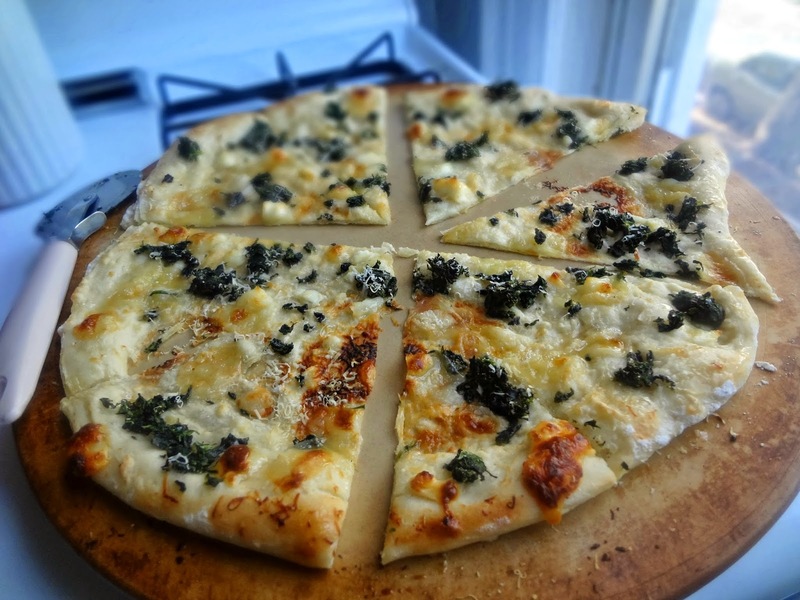 Well, I've already tried the white truffle oil, so I had to try the black! In general, I prefer black truffle salt so I assumed I'd prefer the black truffle oil BUT, twist, I actually like the white better! 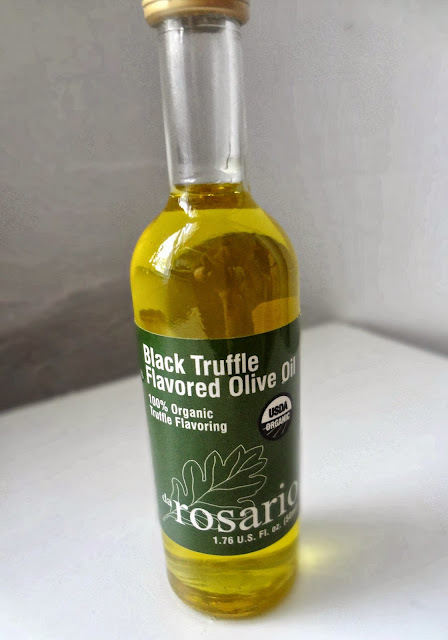 The black truffle oil is still incredible and delicious, but I actually found the flavor to be more subtle and tasted more like olive oil than the white does. 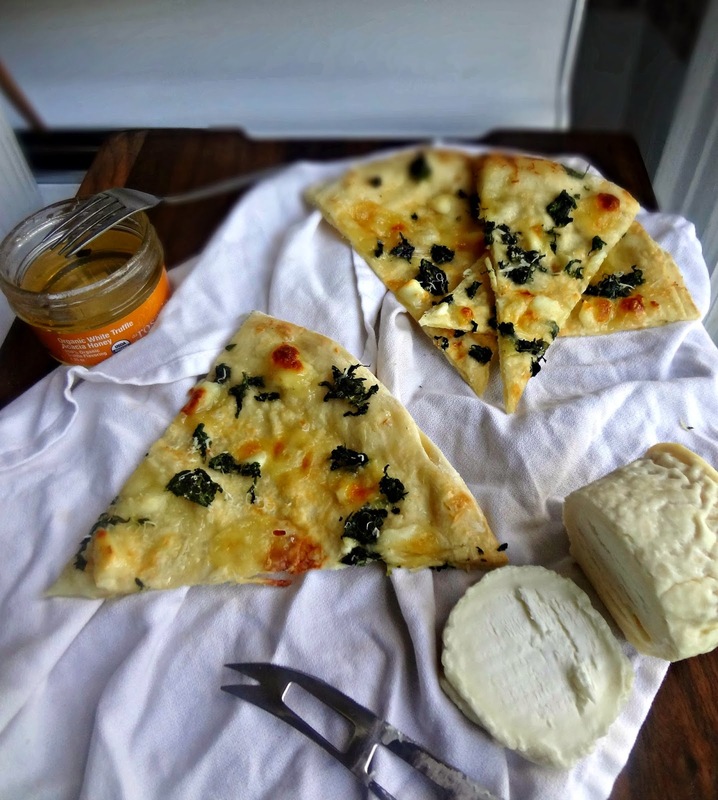 The perk of this is it makes the black truffle oil even MORE versatile, and, in case you didn't figure it out, it's all real and natural and organic. Yay! So...why haven't you tried daRosario yet? Disclaimer: This post contains Affiliate links. I was provided with product from da Rosario to try but was under no obligation to review, or write a positive review if I so chose. All opinions are, as always, my own. Soooo, in case you haven't been paying attention to my extreme excitement...I'm in Disney World right now! This is my FAVORITE song (and potentially favorite scene) from Frozen. It's SO SO goooood! I AM IN DISNEY WORLD RIGHT NOW. RIGHT THIS SECOND. THAT IS WHERE I AM! OHMYGOODNESS I'M SO EXCITED I COULD CRY! Mmmmmmmm but anyway, you poor dears who aren't in the most magical place ever, you still deserve a blog post. And the holidays are a coming. 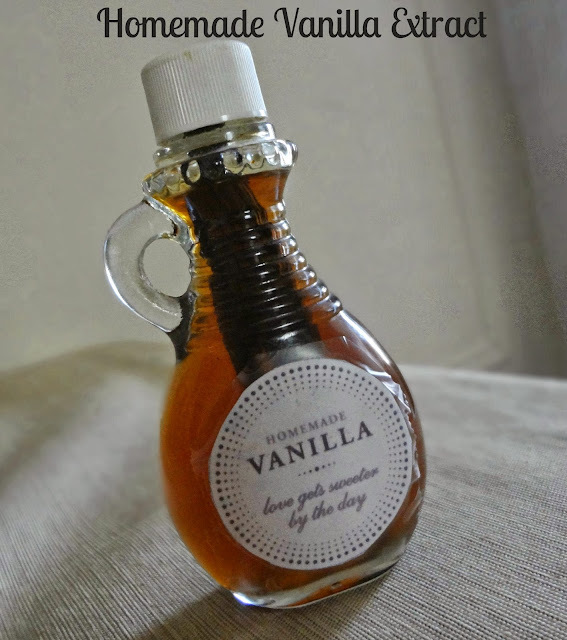 So I have a little listy list for you people with some AMAZING, easy, homemade (food related) holiday gift ideas. This list is similar to last year's....but has more stuff. And I've actually now given some of these. So hooray! You read this post. I go see Beast's Castle. Deal? Process peanuts until a ball forms. Add in chocolate. Continue to process until smooth. Add salt if desired. Pour into a container and store in the refrigerator. 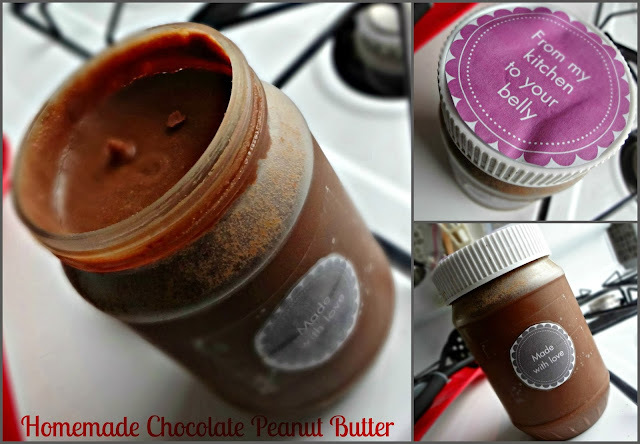 And I also gave my cousin Emily this Homemade Dark Chocolate Walnut Butter. I gave my brother, Josh, some frozen cookie dough balls from this recipe. 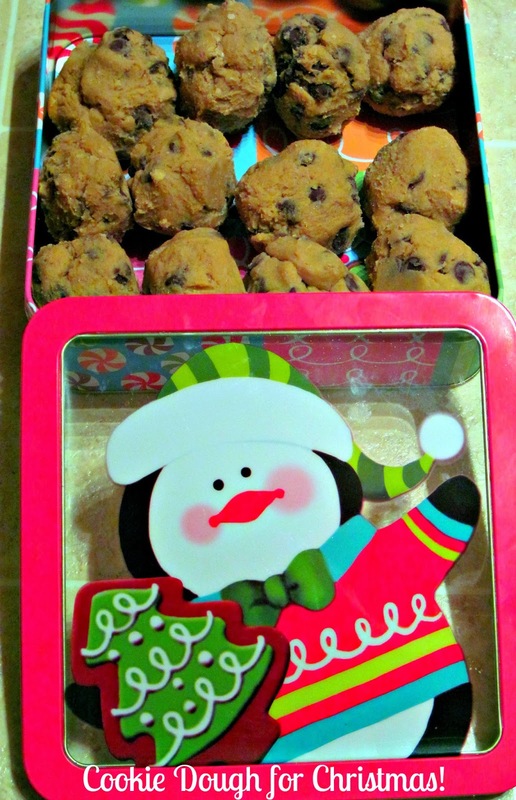 These two methods are particularly good ideas for giving cookie dough (I used the 1st one). 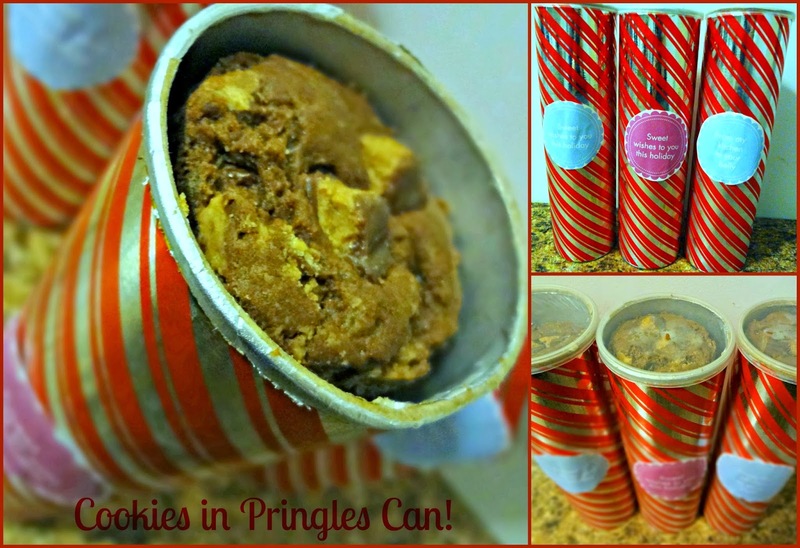 Make sure to include baking instructions with the dough, and keep them in the freezer! 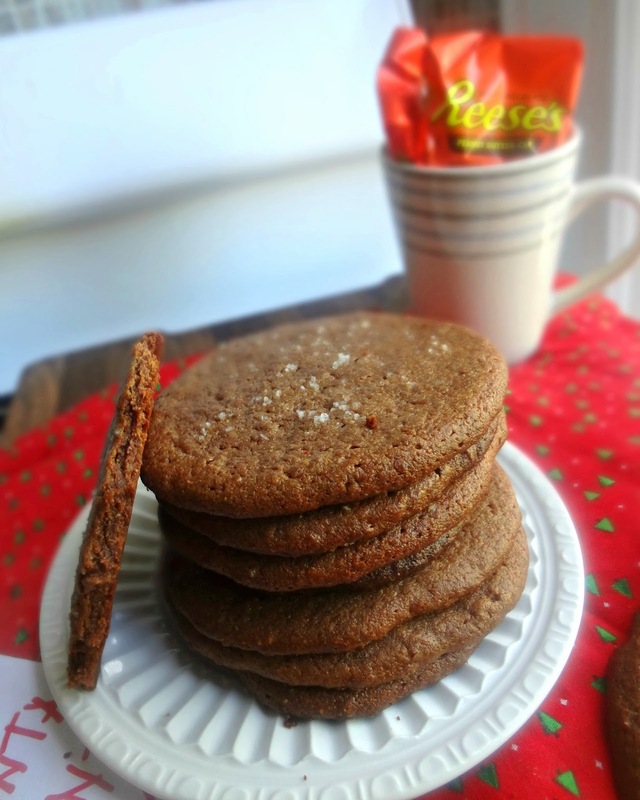 For some ideas of cookie recipes to give as dough, click here. 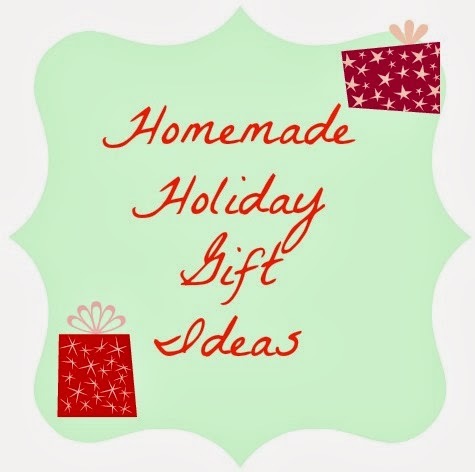 my Homemade Gift Ideas pinterest board! ALL the creatures were stirring like crazy except not a mousebecausemicearegrossandI'mneverlivinginaplacewithmiceagain! Tomorrow I'm going to DIIIIIISNEY WORLD! And in 1 week it's CHRISTMAS! eeeeee so much excitement is happening! Tomorrow I'll fly down to Disney, where I'll meet up with my mom, brother, godmother, and her 2 daughters (they'll have just gotten off a Disney cruise) and then we'll spend 2 1/2 days in Disney! THEN we'll all drive back to Ohio for Christmastimes. It's gonna be insane and crazy and busy and fun and AMAZING! Now, obviously we're not all going to Disney World tomorrow. But, no matter where you are, I'm sure all of us Christmas celebrators are pretty. darn. BUSY right about now! And a lot of that business is in the holiday tradition of baking. Baking cookies, especially. Whether they're for you, your family, co-workers, Santa, all of the above and more, there's a lot going on. So, I'm here to give you pretty much the easiest, simplest, and tastiest little cookie recipe. PERFECT for your holiday baking! Reese's peanut butter cups. And an egg. THAT'S IT. You process some Reese's, mix em with the egg, then bake yourself up some cookies! And then...ya know...if you're like me...you sprinkle some beautiful sea salt on top. 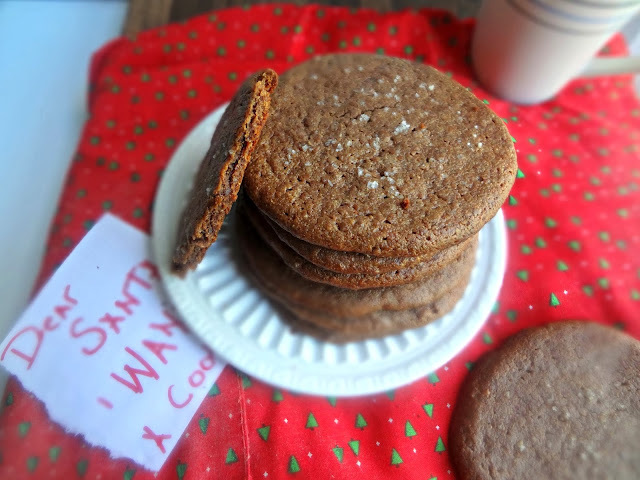 And then imagine you're a little kid again and all you want to do is ask Santa for more cookies, please. These cookies are big, crisp, sturdy (important when you're traveling with cookies and/or giving/sending them as gifts), full of delicious peanut butter/chocolate flavor, chewy, and just mmmmm. I estimate about a bjillion of you will now drop everything and go bake these cookies. And then give them to peoples. And then those peoples will worship the ground you walk on. Yes. This shall come to pass. Imagine it's a relaxing Sunday morning in Paris. You're out on the balcony, sipping some cafe', and nibbling on a gorgeous, flaky, chocolate filled pastry. *sigh* so lovely. Do you want to make that dream a reality? 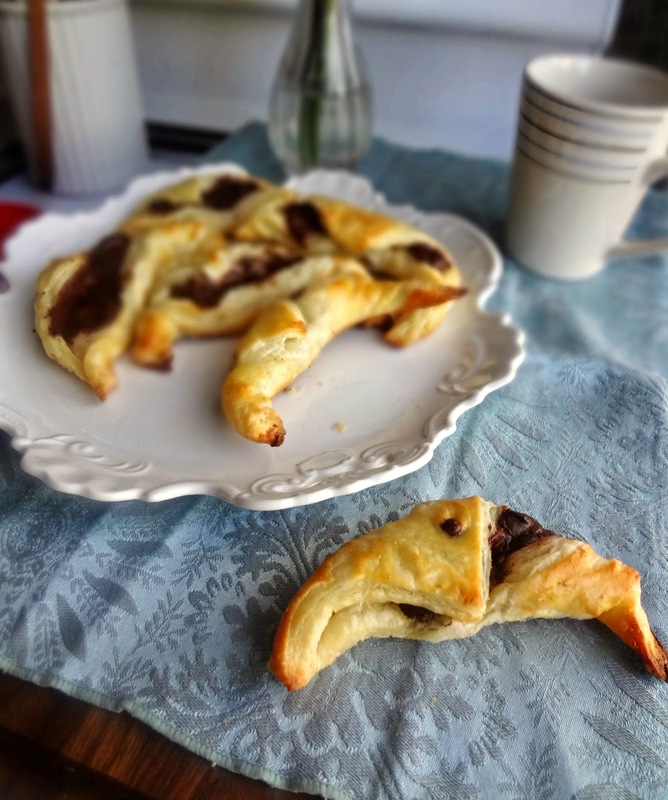 ...or...at least...the relaxing with some chocolate pastry part (and maybe coffee, if that's what you're into). ...oooh. I'm sorry....I just need a minute. They're TOO GOOD! 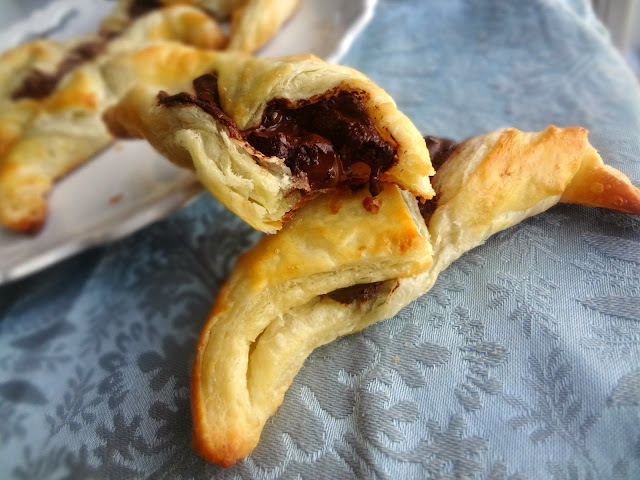 Chocolate croissants have a super special place in my heart. There was a time in my life, when living in my last apartment, where I would pass my favorite bakery every day and almost every day...I would grab a chocolate croissant. Because I couldn't resist! Now, sadly (or perhaps fortunately? ), I don't walk past that bakery anymore, and I have to walk about 20 minutes to get to it. So my chocolate croissant meter has been running pretty much on empty lately. but now...NOW...I have the capabilities to bake myself up those chocolate filled little beauties at HOME! Now, if you wanna make this really easy on yourself, you just buy puff pastry to make these (that's how the original recipe was used). 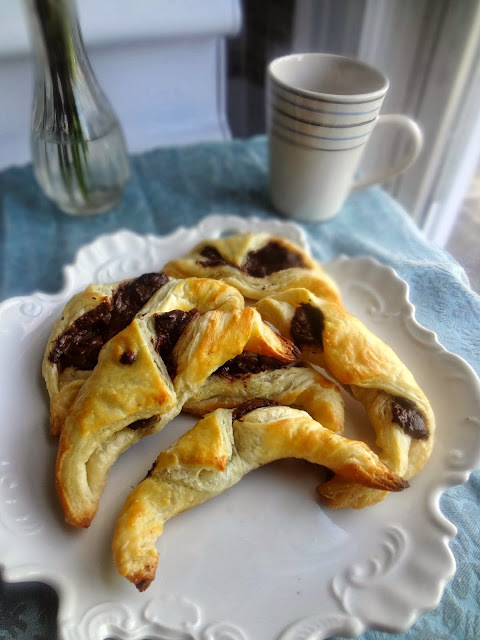 But...if you're a little more crazy like me, and maybe want to make everything from scratch, you can use homemade puff pastry (I someday plan to tackle actual croissants, but until then...puff pastry). I happened to have half a batch of the homemade pastry in my freezer (1 batch of the homemade puff pastry makes 4 batches of this croissant recipe) so it was super simple for me, still, to just make these up one morning. So addictive. SO PERFECT. I'm really fully in loooove with this recipe. YOU NEED THIS IN YOUR LIFE RIGHT NOW. RIGHT THIS SECOND! In fact...so do I....bye all, I'll be making myself some chocolate croissants. Additionally, my mom, brother, godmother, and godsisters are just about in Florida. They're gonna be leaving on a Disney cruise tomorrow and I'm very jealous BUT I get to meet up with them in Disney WORLD on Thursday so yayyyyy!!! 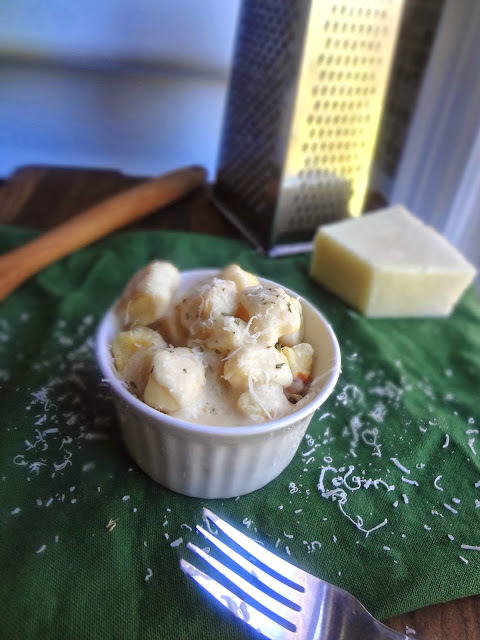 All of my Italian ancestors are probably so proud of me right now: I've finally made homemade pasta- gnocchi, specifically (by myself!--as opposed to helping my grandma)! AND I made the up the sauce recipe all by myself, just using the knowledge I've gained from the last couple years and tasting along the way. I feel all authentic and skilled 'n' stuff. And you wanna know a secret? This recipe is SO. EASY! 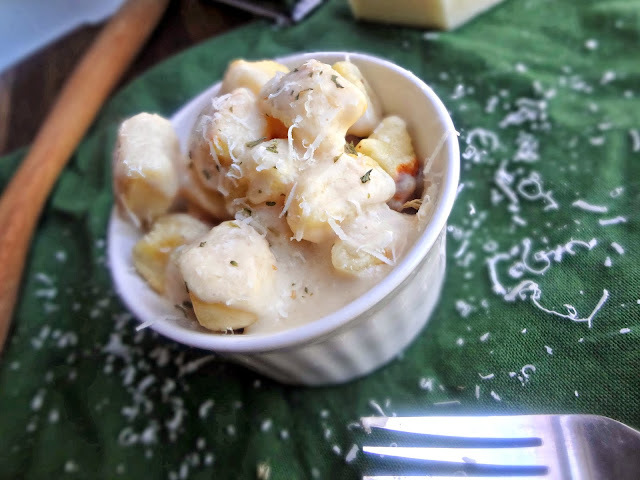 Plus I got ridiculously giddy over the fact that when cooking the gnocchi, you know it's done when it floats to the top. How cool is that?! I told everyone. And giggled. Yepp. The inspiration for this recipe came from a dish I tried at this great restaurant in the city, Jane. As soon as I saw they had toasted ricotta gnocchi in a white truffle cream sauce, I obviously had to order it. And it was PHENOMENAL...for like...3 bites. Then it was overwhelming. And like REALLY rich and filling. So, it took me awhile to finish it. It made me not super into the idea of ordering it again. BUT, then I got some daRosario truffle oil to try. And I knew I needed to make my own, new, and improved (in my humble opinion) gnocchi with a truffle sauce. 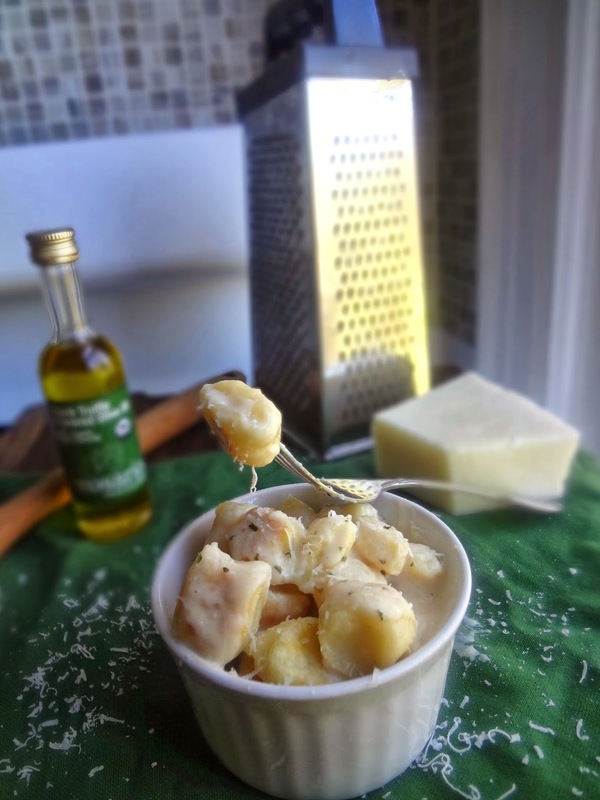 A super simple,super easy recipe for luscious and pillowy, melt in your mouth, ricotta gnocchi. That you then toast, which brings in such a delicious, buttery, toasted flavor. A rich (but not TOO rich) sauce made with...wait for it...FAT FREE EVAPORATED MILK (not cream-so it's not going to be quite as detrimental to some of our pre-wedding semi-diet-y type things), freshly grated Parmesan cheese, and, of course, truffle oil. To taste. So it can be as flavorful or as subtle as you want! I'm like....super excited about this one you guys. You're gonna LOVE THIS! 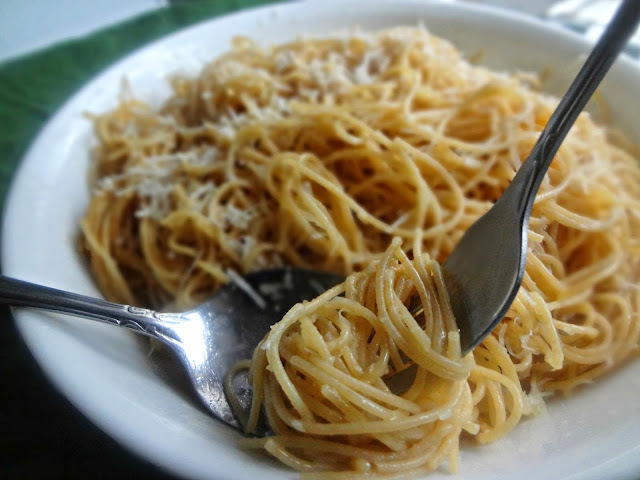 I've made this pasta like....almost every week. Real talk. I mean really....we all know by this point how much I love browned butter, right? 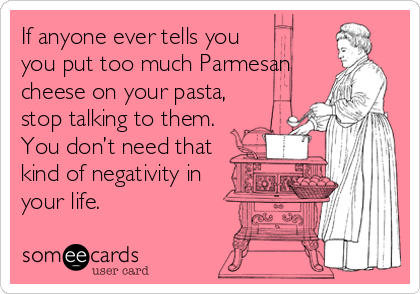 And I have a deep passion for pasta. Especially when it has copious amounts of Parmesan cheese. AND there's nothing not to like about a dinner that's done in like...10 minutes (or less?). Yeah. You get it now, right? I don't even know what else to tell you. This pasta is nummy. 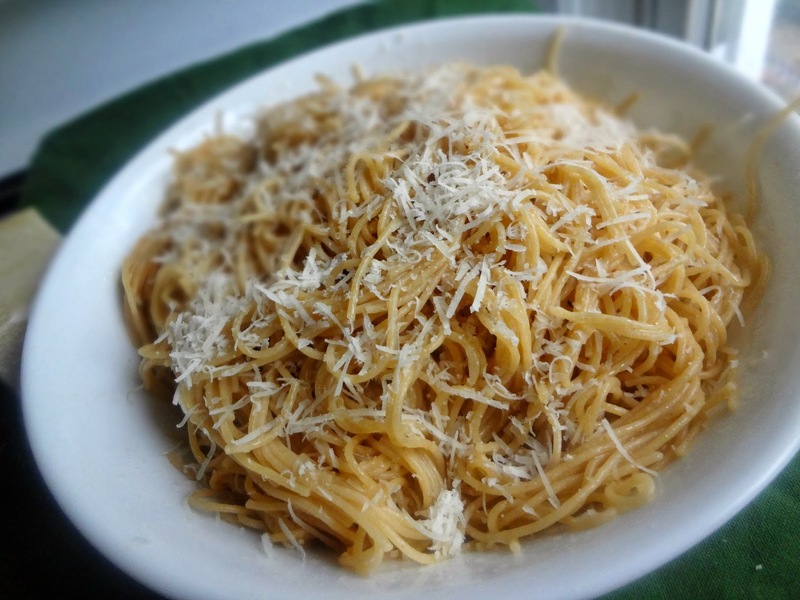 It tastes like browned butter and Pecorino Romano cheese (because of this I suggest actually getting a nice hunk of Pecorino Romano and freshly grating the good stuff) and just nutty cheesy wonderful goodness. And I also recommend using like...LOTS of cheese. That's me though. Ya know what? Sometimes you just need an easy dinner. And sometimes I just need a short and sweet blog post. Fancy fancy pizza up in here today y'all. Goat Cheeses of France, the "original chèvre". I was lucky enough to get a shipment of a few different goat cheeses to try, and oh my goodness! They were all SO creamy and wonderful and just, like, made me feel sophisticated! Turns out there is A LOT to learn about chèvre, which is where Goat Cheeses of France comes in. I HIGHLY suggest you check our their site and get yourself all acquainted with all the goodness there is out there! Anyway. Back to this fancy shmancy pizza. The interplay of all the elements creates such an interesting experience on your palate (yeah, listen to me, saying "palate"), it's somehow tangy and smoky and sweet all at once. Sorta unreal. Now, this was not my favorite pizza. My super tasting-ness was a bit overwhelmed by it all (yesss being a super taster is a real thing and it is to blame for much of my pickiness)-but Michael really liked it and he was enough of a dear to finish off the 2 pizzas for me. 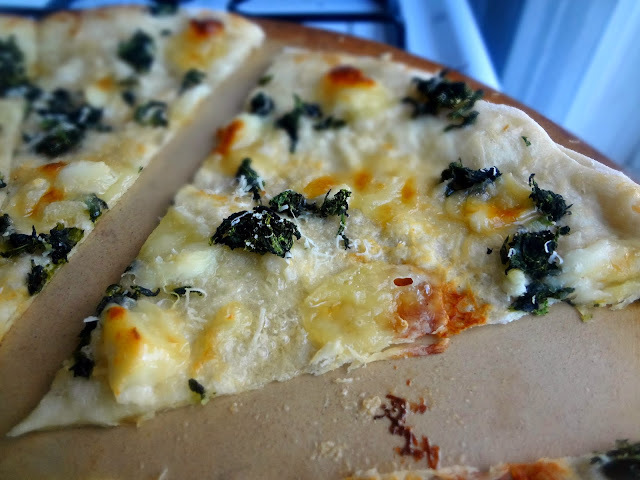 Regardless of my insanity, if I had a restaurant, I would totally serve this pizza. Because, I mean, really. Look at it. And I KNOW it's tasty. Trust me. Give it a try. So um...I guess this was a pretty big week for me. 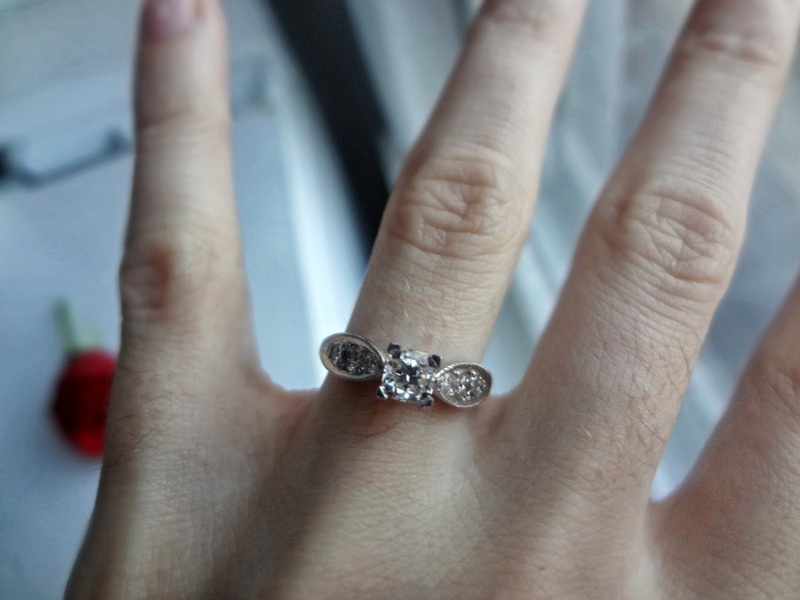 In case you didn't hear, I GOT ENGAGED! If you, for some reason, want a bunch of info and suchness about my upcoming wedding, I have a pinterest board devoted to it. It's kinda cool. BUT nobody expect to hear wedding bells too soon, we're shooting to get married probably sometime in June, 2015. I NEED TIME TO PLAAAAAAN! Speaking of which...wedding planner...yay or nay? We're broke so budget is a definite issue but I've heard some people say you can't live without 'em and they help cut costs, and others say they're unnecessary. Opinions? Some of you may not know this but, we'll be getting married in Ohio. It's where we're both from and our entire families are. 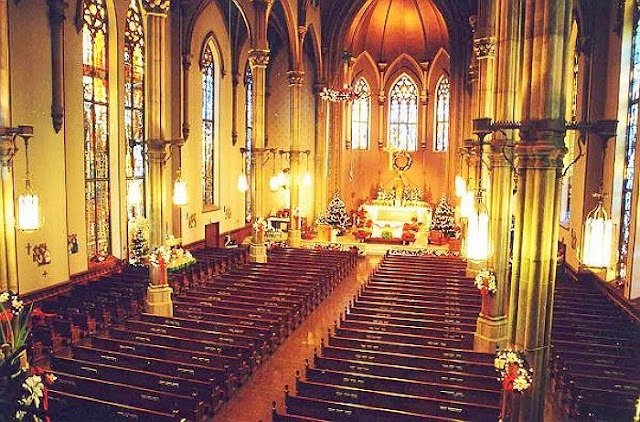 I want us to get married in the church I grew up in (and in which my parents got married). And it's going to be a HUGE wedding. Like....I don't want to have over 300 people but that might not happen. *sigh* Big Italian/Irish Catholic families, ya know! AND omgeeee you guys CHRISTMAS IS COMING! I'm done with all my gifts, are you? 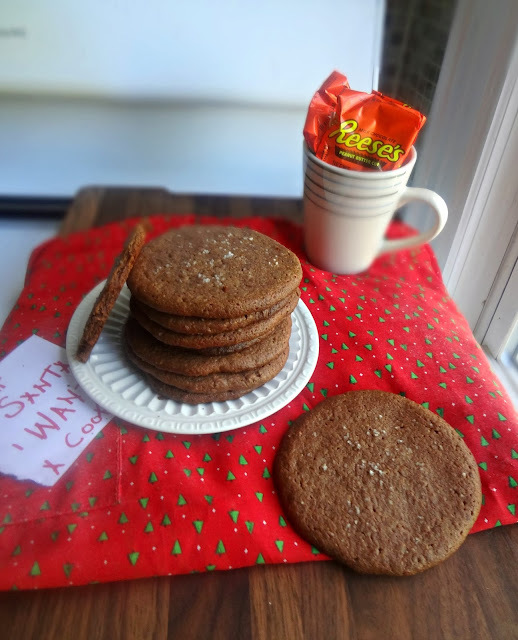 If not, stay tuned for a post I have coming up about homemade gift ideas AND don't forget to enter my giveaway for a $50 credit on UncommonGoods! Wanna hear about 1 of the coolest sites around? That also happens to have some of THE BEST stuff when you're gift shopping for someone? environment and without harm to animals or people." Half of what they sell is made by hand and most of the products are created here in the USA, and about a third of their collection incorporates recycled and/or upcycled materials. They have some of the most amazing, unique things. Anytime I'm stumped for gift ideas, Uncommon Goods is my first stop: they even have pages of their site specifically categorized by who you're buying for and/or what the occasion is! Christmas is coming up, so I'd suggest you check out their Christmas gift section here. 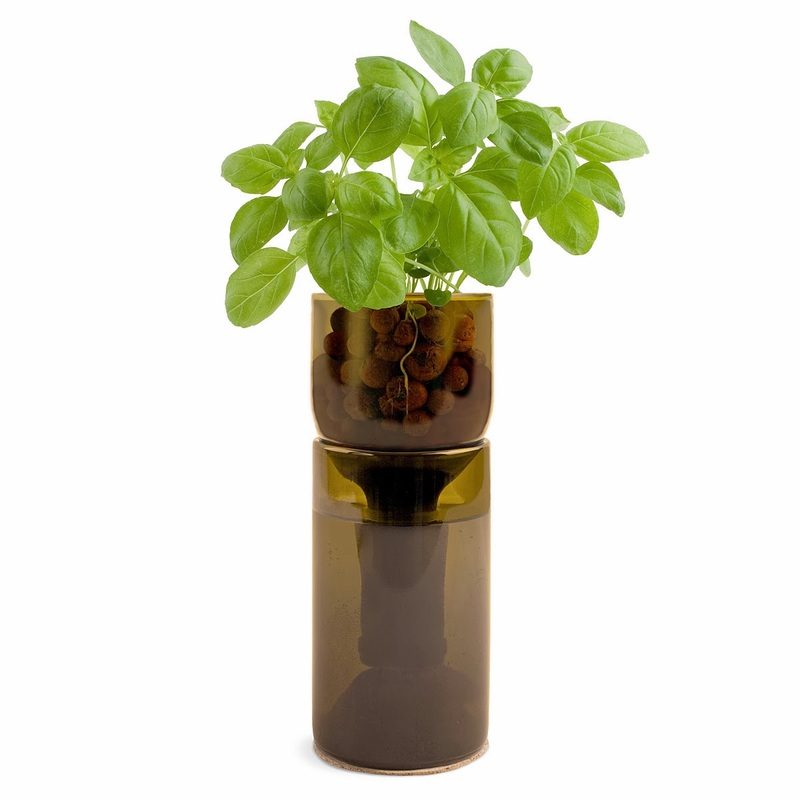 Last year, Michael and I got his stepmom and his dad Uncommon Goods' amazing basil growbottle (which I now WANT!) We got them the basil, which is what I'd want too! Essentially it's your own little organic herb garden, sprouting from a re-purposed wine bottle. 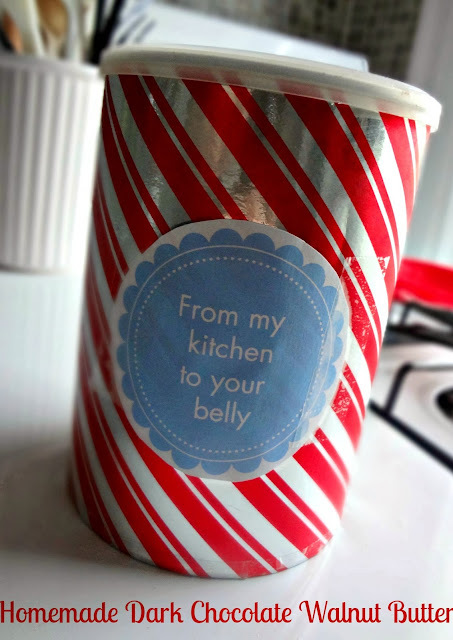 So, good for your kitchen AND the environment! Is there a sophisticated whiskey drinker in your life? Surprise them with this amazing whiskey stones gift set. Or maybe you tend to hang around wine drinkers: they have their own category on the site here. Whoever you're shopping for (even you! ), I can essentially guarantee you will find some fabulous ideas on their site! And Christmas is approaching, do you still have someone you need to shop for? Are ya stumped and need some new, exciting, gift ideas? Then DEFINITELY check out UncommonGoods! So....wanna see if you can win a little something to go towards your inevitable UncommonGoods shopping spree? I was gonna post a recipe today. 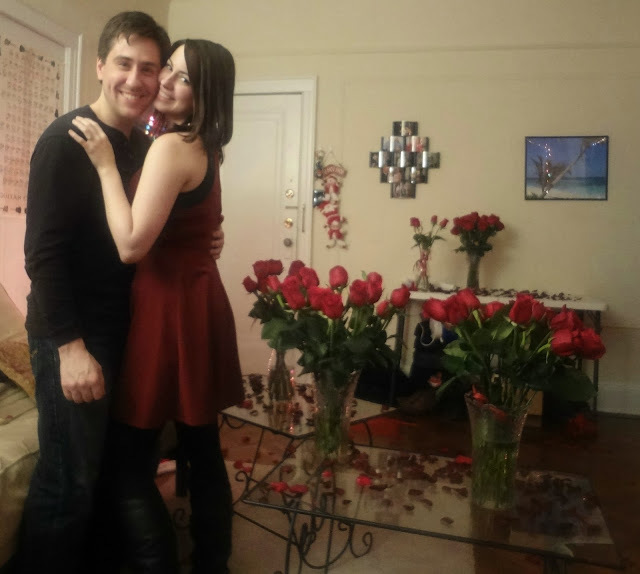 MICHAEL AND I ARE FINALLY ENGAGED! 'Tis the season for Kayle to try out more hot chocolate recipes!!! Generally, I eat whatever I want, regardless of the time of year. 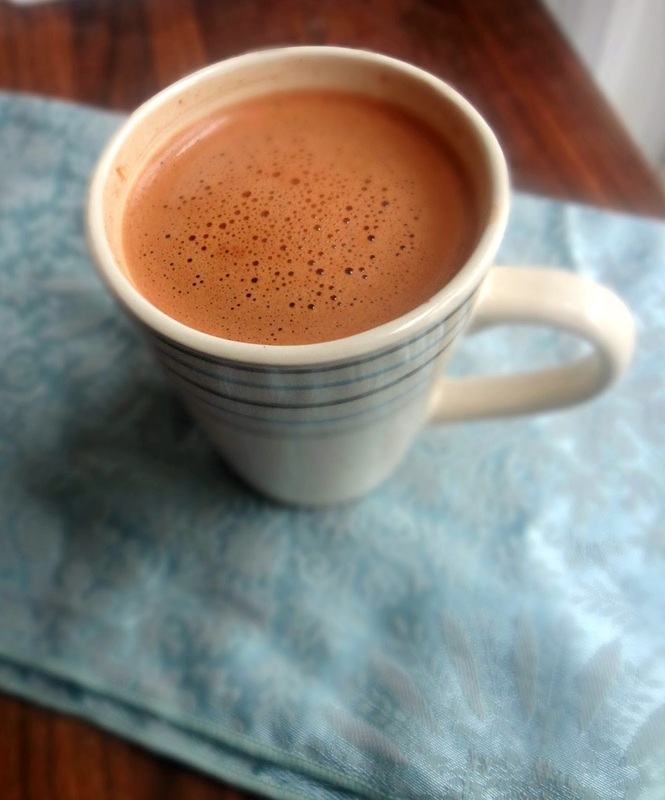 But hot chocolate...well....it's hard to muster up the energy to drink it when it's hot outside (excluding my beloved Max Brenner's hot chocolate....I'll drink that wherever, whenever!) BUT! It's cold! And nothing sounds nicer when you're shivering in your apartment because your landlord doesn't turn the heat on half the time, than a nice big mug of hot cocoa. Has it happened? 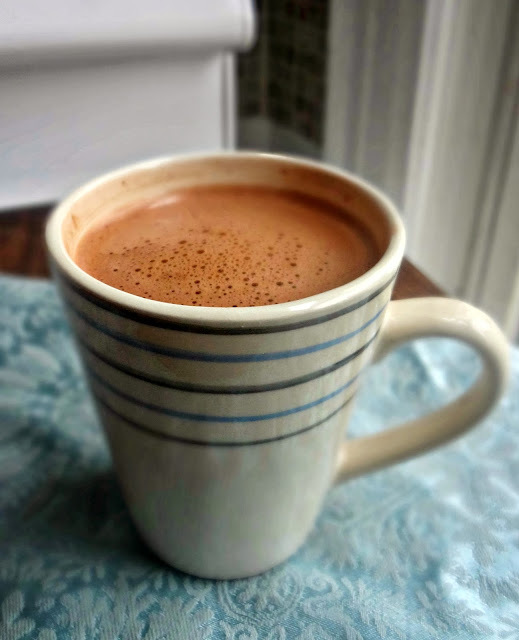 Have I found a homemade hot chocolate recipe that lives up to Max Brenner's??! BUT it is deliciously full of dark chocolate flavor. And creamy. And rich. And as good as any other homemade recipe I've made thus far (with the exception of maybe this one, and def. excepting the s'mores hot cocoa...but that's just because of s'mores), with the added bonus of being QUICK and eeeeeasy to make! And, woot woot, no extra dishes! 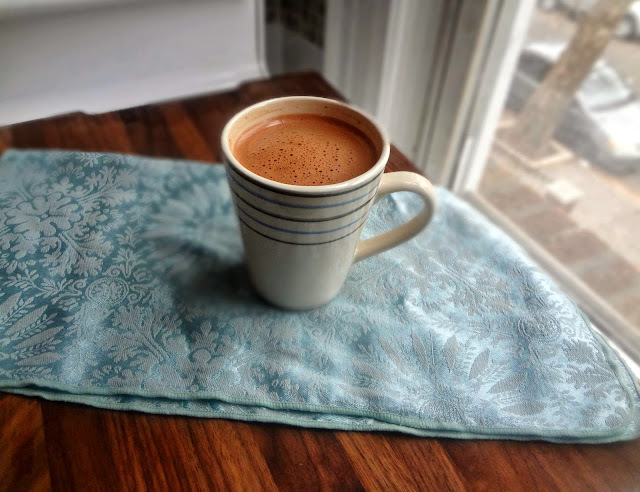 Now, put on your slippies (or as some of you lame people might say, slippers), a warm robe, your fave jammies, and cuddle up with a big warm mug of this hot chocolate. Maybe watch some My Fair Wedding on Netflix. Or 25 Days of Christmas on ABC Family. Yeah...that's a good day.